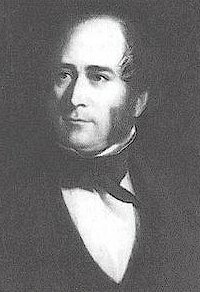 James Montgomery (1771–1854). First appeared in A Selection of Psalms and Hymns, 8th edition, by Thomas Cotterill, 1819. Alcester Samuel S. Wesley, in A Selection of Psalms and Hymns, by Charles Kemble (London: John F. Shaw, 1864), number 35 (🔊 pdf nwc). Names most awful, names most high. King of kings, and Prince of peace. Homage due to God alone.